All four major US sports are in action once again this week but baseball is in the spotlight with its World Series beginning Tuesday. Let’s take a look at that matchup and what else is happening in sports. 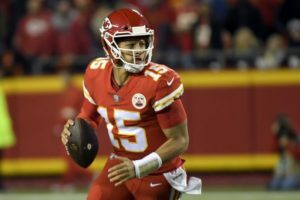 So young and so good…23-year-old quarterback Patrick Mahomes set the NFL record with 22 touchdowns in his first eight career games. 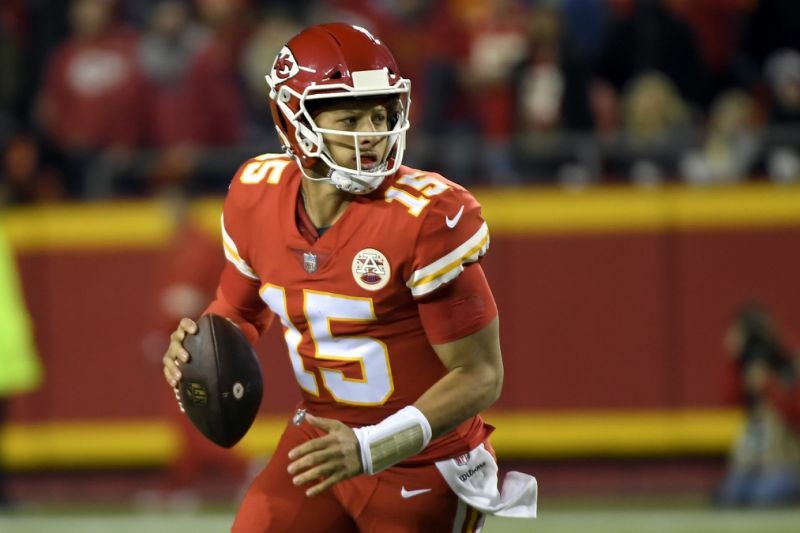 The young phenom led his Kansas City Chiefs to a resounding 45-10 victory over the Cincinnati Bengals Sunday night. Elite company. On the other end of the age spectrum, 39-year-old Drew Brees threw his 500th touchdown in a win versus the Baltimore Ravens Sunday. Already the NFL’s all-time leader in yards, Brees joined greats Brett Favre, Tom Brady and Payton Manning in the 500-touchdown club. The Los Angeles Rams remain unstoppable and are the NFL’s only undefeated team. Their latest victim was the grossly overmatched San Francisco 49ers who were drubbed 39-10. The week ended with a matchup of disappointing teams Monday night; the 3-4 Atlanta Falcons beat the 1-6 New York Giants. Crying in Columbus…This past weekend brought one enormous upset in college football. Unranked Purdue shocked #2 Ohio State 49-20 knocking Ohio State out of the national championship picture, for now. In another Big Ten matchup and heated in-state rivalry game, #6 Michigan defeated #24 Michigan State 21-7 keeping Michigan’s championship hopes alive. The other top ranked teams won or were idle, meaning coeds on those campuses were partying all weekend. Boys being boys? In what was supposed to be all kisses and hugs, LeBron James played his first home game in a Los Angeles Lakers uniform Saturday night on national TV. All was fine until a fight between the two teams broke out. 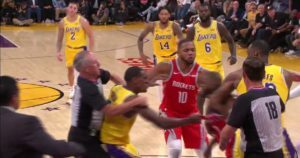 In true Hollywood (or Jerry Springer) fashion, there was spitting, name calling and punches thrown. 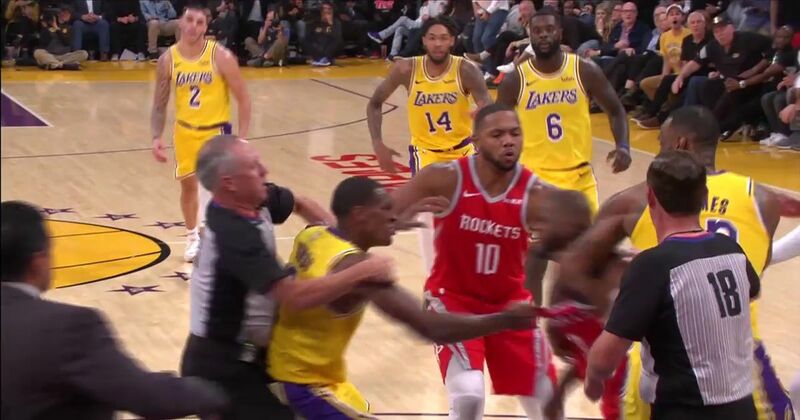 The NBA acted swiftly and announced suspensions Sunday for LA’s Brandon Ingram, “the instigator” (4 games) and Rajan Rondo, “the spitter” (3 games), and Houston’s Chris Paul “the victim” (2 games). If you were keeping score, the Houston Rockets won the game. Welcome Kawhi. The Toronto Raptors traded for a disgruntled Kawhi Leonard in the offseason, and he is proving to be one of the game’s best players. Leonard has led his new team to a 4-0 record. Bad Break… One of soccer’s all-time greats, Lionel Messi, broke his arm and will be out roughly three weeks. 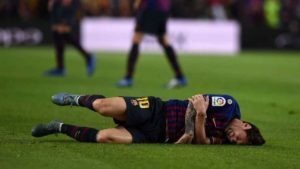 The Barcelona superstar will miss a Champions League match against Inter Milan Wednesday, and an even bigger rivalry game Sunday, dubbed “Clasico”, against Real Madrid. 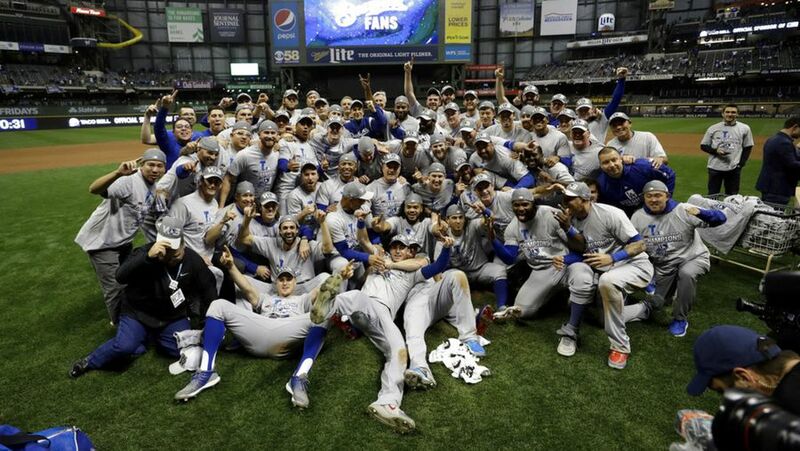 After starting the regular season way back in March, MLB has reached its World Series. Can it really be called the “World Series” if 29 of 30 teams are US-based and one is from Canada? The matchup of Los Angeles versus Boston is a battle of baseball’s elite franchises. How did they get there? 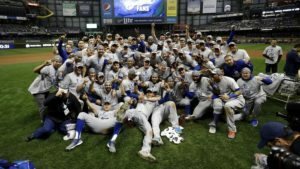 The Los Angeles Dodgers, who lost in last year’s finale, beat the Milwaukee Brewers 5-1 in a deciding seventh game Saturday night to clinch a visit to their 23rd Word Series. The American League champion Boston Red Sox were the best team during the season and have cruised through the playoffs. The Sox easily defeated the New York Yankees and Houston Astros en route to their 14th World Series appearance. The only real drama in Boston thus far was with one of their own players and his stomach. It wasn’t the food, beer or even the flu. Red Sox ace pitcher Chris Sale found himself in the hospital because of a, wait for it…belly button ring. #Really? Ring or not, Sale will be Boston’s Game 1 starter. Schedule alert…The best-of-seven World Series starts Tuesday night in Boston.